Home/Business/Sipping With The Columbus Barrel Co. In front of me was one of the prettiest things I’d ever seen. Thick, brown, rough yet sturdy, its presence filled the room with power and the most wondrous oak-y smell. I was enamored, spellbound. Bourbon were officially my thang, inside and out. Ever since the day in which my eyes fell upon the vessels that protect the golden precious, I’ve been obsessed with exploring the art of barrel repurposing. It was nothing but destiny that led to my trip to Columbus Barrel Co. where bourbon barrels rule the world… or at least the warehouse floor. Nestled within a quiet corner of Lewis Center sits the bourbon barrel born business (say that three times fast) of CJ and Curt Shaver. The Shaver brothers are following in the footsteps of their father and grandfather, using their talent and skill to design. 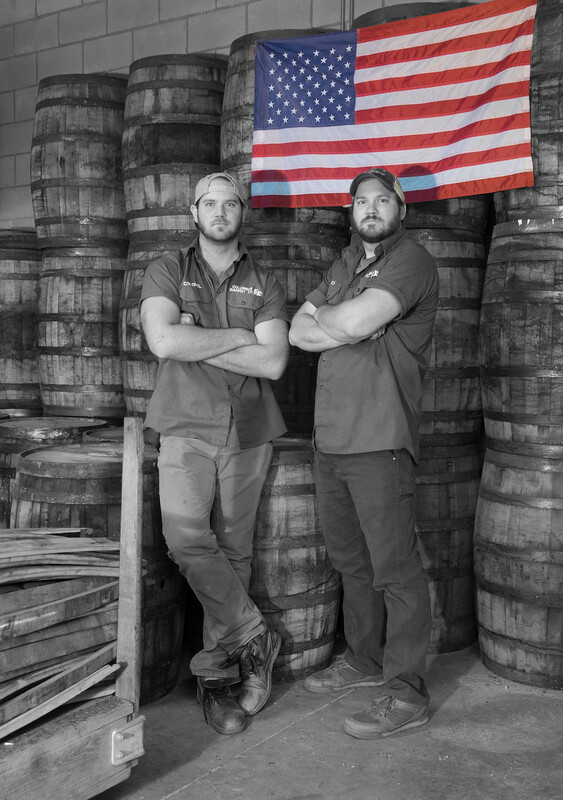 Since 2013 they’ve been bourbon barrel crafting, using their inherited entrepreneurial traits to morph a wild idea into a full fledged business. With products ranging from sunglasses to coasters, Columbus Barrel Co. creates a comfortable and relaxing environment to begin your bourbon barrel repurpose collection. These handsome fellas have built eclectic yet functional items like tables, chairs, dens and merchandising stands from bourbon barrels. Who doesn’t love a custom created conversation piece? While the Shaver brothers spend plenty of time spinning barrels, they are also passionate about helping those in need. Each year they donate all their Black Friday proceeds to San Miquel del Lago, a girl’s orphanage. How beautiful is that? Sipping bourbon and checking out the talented team behind Columbus Barrel Co. should definitely be on our list of things to do. Click here to scope out their website and let me know what custom barrel item you would love to snag!